If you have been giving any gifts the past couple of days, you might have thought you were done with the wrapping well before now, but it is time for one more present - this time for you. 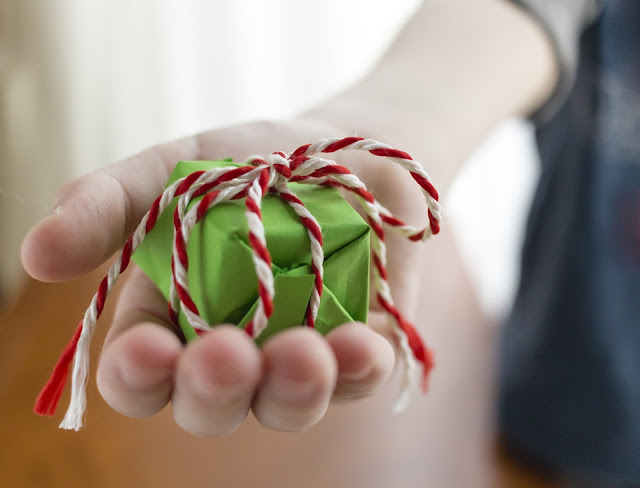 Let's wrap up your year by doing some little things the last week to prepare you for the turn of the calendar. If you are working this week, chances are that there are fewer people in the office, giving you a little more breathing room and free time. If you are at home, you might want something to do in between standing in gift return lines that gives you a little something more back. Either way, find some time to do these five things this week and you will start the new year on a good foot. If you are anything like me, your inbox is an overflowing mess most of the year, and when it has been left alone for a few days over the holidays, it grows to an unmitigated disaster. Clearing out that inbox can be a great way to digitally declutter and prep for 2017. Mine will probably take a few hours of actually going through and replying to the things I need to reply to, actually reading the research emails I have saved and dropping them into an appropriately filed research folder, and deleting things that are just clutter. The deleting can be totally cathartic. 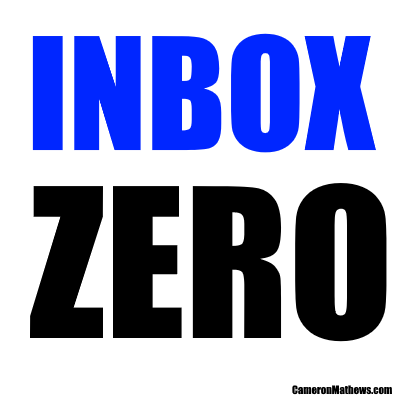 Whether using Inbox's trash can to just obliterate entire folders of email or going one-by-one in a rapid purge, now is the time to admit that I don't need those four recipes from 2014. I am not going to watch that saved webinar (it expired anyway). I can archive those bank statements sitting there in the Finance folder. If you can't bring yourself to delete, archive. Drop your whole outlook file from 2016 into an archive .pst file. Hit Google's checkmark for the whole year. That email will stay there if you really need it, but most likely if you haven't dealt with it since March, you aren't going to. And last, but not least, take time to unsubscribe from those newsletters that you never read. You know the ones. You signed up for them once because there was something interesting you wanted to download. You may have even read one or two of them before deciding to put them on your auto-delete list. Just unsubscribe now (hopefully not from mine, but if you must, I will miss you). You will save those extra three seconds of deleting over and over again in the new year. Lots of people tend to start new jobs in January, and others may decide that it is the right time to start looking. Even if you are content with your current role, this last week of December is a great time to update your resume. That way, if and when you do decide to apply for a job, your resume will already be relatively current, minimizing the work you have to do on it then. I like to keep a "current year" version of the resume, where I add in the most relevant new bullet points about my most recent accomplishments, meanwhile deleting out some of the less relevant items from older positions. This helps keep the resume at a readable length. You can leave all the details of every job out there on LinkedIn if you want to manage a full-length professional autobiography. Updating that resume also gives you the benefit of putting some finality to reviewing your year and personal accomplishments. Once they are on paper, you can call them complete and start looking ahead to next year. You can also see the gaps on the resume and start deciding how to close those gaps when you get back to it in January. This one seems like a no-brainer, but you should take some serious time this week (maybe longer than you spend on your email) to identify the four or five most important goals for the year. I generally try to identify goals in a few different categories (business, health, family, etc.) to balance it all out and keep from dropping all my goals in a single focus area. Write the goals down. This helps to make them more concrete and committed, and gives you a handy reference to look back to and remind yourself of your objectives. It also provides a handy checklist to strike through the goals with glee and satisfaction when you complete them. Once you have your goals, go one step farther. 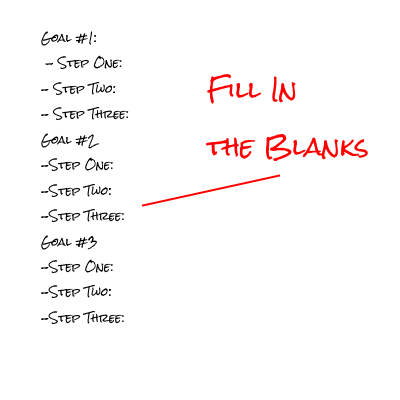 Write down the two or three key steps to accomplishing the goal. These mini-plans will break the larger items into manageable chunks that you can work with (and get checked off the list faster). Just like clearing out that inbox can give you a clean workspace in your email app, clearing off your physical desktop can give you room to think and work in the new year. I know the old "messy desk is a sign of genius" line (trust me, I justify my desk clutter that way all the time), but once a year, you might want to clean it up. You can mess it up again tomorrow, but this time with new projects and work. You can also purge some of your old files as well. Get out some of the fire hazard file boxes from the attic and go through the IRS guidelines for document retention and toss or shred everything older than you actually need. Your file folders can breathe easier. January will create a flurry of activity and all new frenzy around work and home, as you look to start the year off with a bang. You will be working to kick off all of those goals and New Year's resolutions. On top of that, though, your boss or customers will have their own sets of goals and resolutions to get started on, and you could quickly find yourself overwhelmed. There's one week left in the year. Make sure to take a little time for yourself to relax and recharge before this frenzy begins. The last week of the year can be a totally dead time for you or it can be an opportunity to position yourself for success in the upcoming year. With lower pressure and fewer obligations that most face this week, it is a unique time to jump ahead. By decluttering (both physically and digitally), reflecting on the year past and planning for the year ahead, you can enter January with a roadmap to hit your goals. Finally, taking a little time for yourself to relax will make sure you are recharged and ready to go. What is your favorite thing to do the last week of the year to get ready for the future? I'd love to start a conversation about it over on Twitter, so click here and let me know.